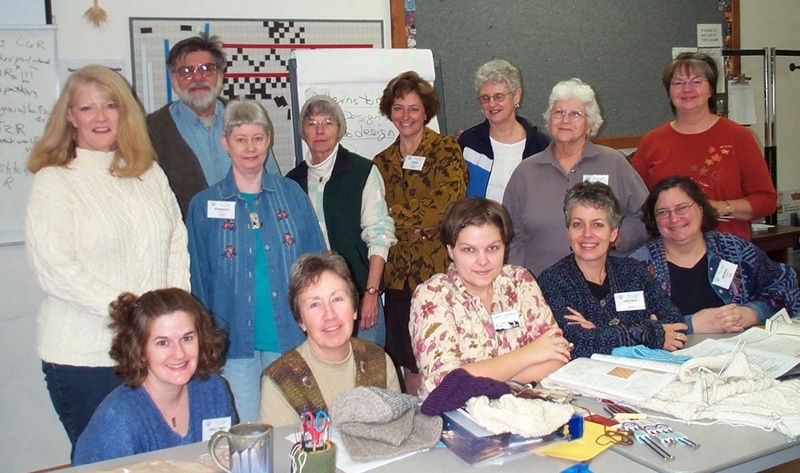 This class was able to learn the traditional designs and patterns of aran sweaters and ganseys from Ireland and the British Isles. They also learned to analyze the patterns so they could read the pattern in their work rather than referring to the pattern book. By the end of the class they were able to design pattern combinations in the traditional aran and gansey style; all in five days time. They still need to experience and work with additional patterns, but they will take with them the tools and strategies that will assist them in their creative endeavors.